Sodus, New York, located on the north portion of Wayne County, on Lake Ontario, is halfway between Syracuse and Rochester. The Town actually consists of two villages; Sodus Point and Sodus, as well as the hamlets of Joy, Sodus Center, Wallington, South Sodus and Alton. The economic mainstay of the community is fruit orchards, especially apples, but also cherries, peaches and prunes. Many Mexican and Guatemalan farm workers reside in and work in the area. Tourism along Lake Ontario, especially during the summer months, is also an important industry. 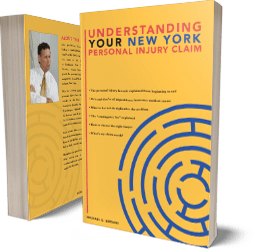 Michaels & Smolak’s main office is in Auburn, New York, but it is a regional personal injury and medical malpractice law firm serving all of Central and Western New York, including Sodus. Michaels & Smolak is a client-service oriented firm whose lawyers regularly visit new and existing clients at their homes in Sodus and elsewhere. Michaels & Smolak’s lawyers have years of experience in the Wayne County Courthouse and in just about every other Courthouse in Central and Western, New York.